Association, (l), and administrative assistant Sarah Ouadghiri (r). Pat Baker of Gloucester, MA, is not an immigrant. But as the mother of a Chinese immigrant and the daughter of an Irish immigrant, she is passionate about the issues surrounding immigration policy in America. For the 17th Annual Immigrants’ Day at the Massachusetts State House hosted by the Massachusetts Immigrant and Refugee Advocacy Coalition (MIRA), Baker will join almost one thousand immigrants and advocates today (April 8) to celebrate the contributions of immigrants throughout the Commonwealth and to advocate for reform. The event, which will take place in the Gardner Auditorium from 9:30am until 12:30pm, will feature Jose Antonio Vargas, a Pulitzer Prize-winning journalist who wrote about his life as an undocumented immigrant for the New York Times Magazine in 2011. After Vargas’s talk and other presentations, groups of immigrants and advocates will speak to legislators about immigration policy and law reform. Piñeros-Shields clarified that being undocumented means to enter without inspection or stay in the U.S. with an expired visa. In fact, she said, being without status is not in the criminal code. It is an administrative violation and immigration lawyers do not go to federal courthouses but to immigration courts, which are under the executive branch, not the judicial branch, of government. Nevertheless, being undocumented can have serious and often extreme consequences under the current immigration system, said Piñeros-Shields. 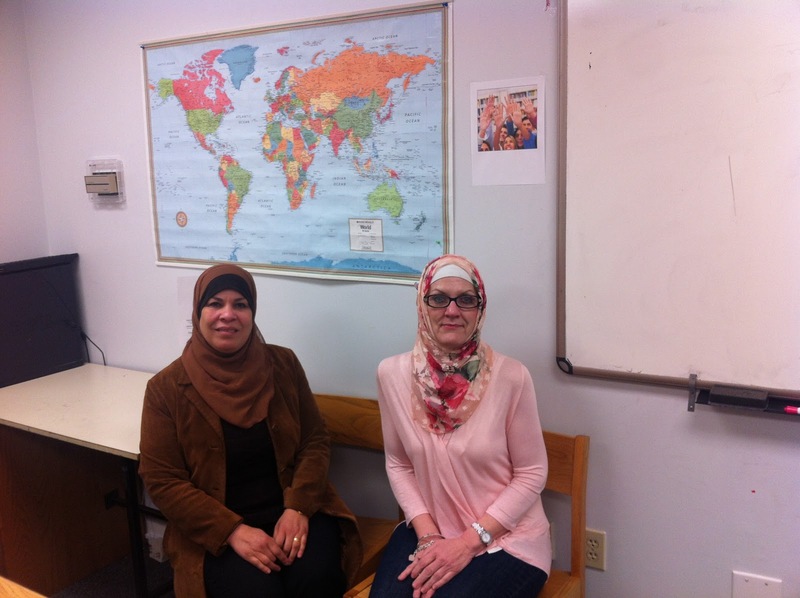 One group from Lynn, MA, will be attending Immigrants’ Day to get the word out about the Iraqi and Arab Community Association, a nonprofit started by Iman Shati. The Association celebrated its first anniversary last month, and Shati said it is the only one representing Arab and Iraqi immigrants and refugees on the North Shore and in Boston, providing services to 200 immigrants from diverse immigrant communities. Shati pays ESL teachers and funds the association out of her own pocket. “I insist to keep going,” said Shati, adding that many Iraqi and Arab immigrants are moving to the area. As a refugee from Iraq whose family fled because of the war, she offers “feeling and emotion” and sees the State House event as another way to draw attention to the need for support in communities like hers. Piñeros-Shields said the most important changes in reform would benefit not only immigrants but also the economy and the safety of all residents. For example, most immigrants work two to three jobs at minimum wage, providing labor needed in America, and do not pose a threat to society. But the consequences of current measures such as the Secure Communities program, which was supposed to target criminals, has meant many hardworking, innocent immigrants are being deported instead, said Piñeros-Shields. The Secure Communities program requires police officers to check the immigration status of anyone they arrest. For this reason, families with members who are undocumented are afraid to attract attention by calling the police when crimes occur in their neighborhoods, said Piñeros-Shields. In response to these and other issues with current immigration policy, MIRA advocates for important law reforms such as the Safe Driving bill, which would make it easier for all residents of Massachusetts to receive licenses, and the Trust Act, said Frank Soulter, communication director at MIRA. “The Safe Driving bill will make roads safer for everyone,” said Piñeros-Shields. Soulter and Piñeros-Shields both said that the Trust Act would restore relations between immigrant communities and law enforcement officials by allowing them to opt out of the Secure Communities program. Yet incremental changes are not enough, according to Samuel Tsoi, a program coordinator at the Commonwealth of Massachusetts’ Office for Refugees and Immigrants and the Executive Office of Health and Human Services. “The problem with incremental changes is that they satisfy particular interest groups but do not lead to change on controversial issues such as creating a pathway to citizenship and ensuring worker’s rights,” said Tsoi. “Comprehensive reform would address the needs of the most vulnerable." I wonder if we will still have reasons to celebrate the immigrants day 50 years from now. The globalization will fade things away. I read some reports about it on this writing services source. I want to continue my study in your collage.I have listen about your site from my friends.This is so nice collage. Nice post.I am happy to see this post, posted by Tala Strauss.Your collage is very beautiful and have much excellent content. The safe driving bill will make roads safer for everyone shields soulter and pineros-Shields both say that the trust act would restore relations between immigrant communities the information thanks for sharing information. I love the fact that the Locals Celebrate Immigrants’ Day at the State House, which shows a lot of love and unity between residents and refugees. Its very necessary to stay united and as one love. If you want to erotically entertain yourself in day and night hire Natalya Dsouza one of the best call girls service provider in Goa state. Goa is one of the most romantic and happening place in the world and most of the tourists coming from the world remain in search of young and seductive escorts in Goa for providing ultimate pleasure and entertainment services at an affordable rate. yes now I am on exactly right place. Even it's right place for those who want to become blogger because we can learn here as new born blogger. Hi friends Myself Lavanya Menon Goa's biggest independent Goa escorts agency is providing guaranteed satisfaction with unlimited pleasure and fun. Choose as per your choice matching escorts service in Goa suitable for your pocket and changing your mood effectively. These call girls take no more than 30 minutes in reaching near their customer.